Indie polish has exploded. Every where I look I'm seeing them. There are some really amazing indie collections out and new ones it seems just about every week. 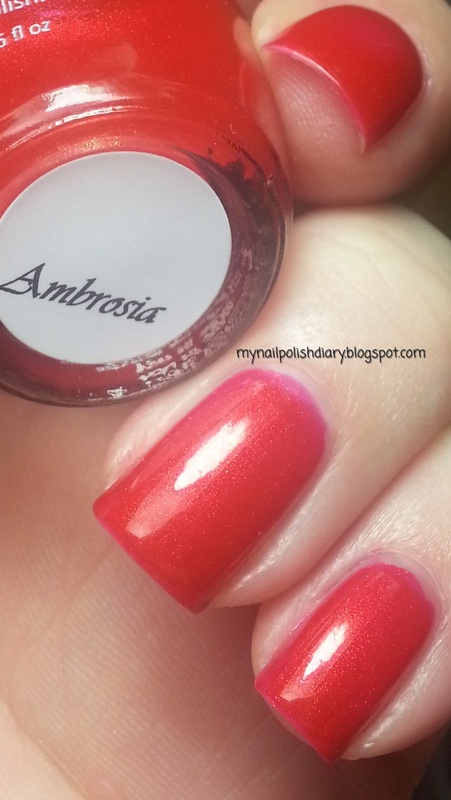 Ambrosia is one that caught my eye. 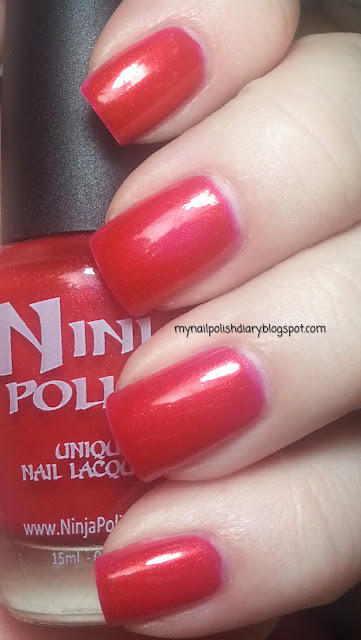 Ninja Polish Ambrosia is from the Enigma Collection released this spring. It's a gorgeous hot pinkish red jelly with gold shimmer. I adore this polish. It's so pretty. I loved wearing it. It wore like a dream. Also applied perfect. I like the indie Ninja Polish line a lot. My experience has been high quality and the selection is just lovely.